If you are looking for information on the Signal 88 Security franchise business opportunity, Signal 88 Security franchises or Signal 88 Security franchising, then you have come to the right place. 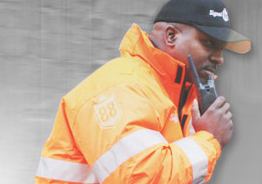 Signal 88 Security Group was founded in 2003 in an effort to establish a higher standard of professionalism in the security industry. We are law enforcement owned and operated, offering law enforcement and community-based security personnel, incorporating state-of-the-art technology to provide customized security services to the business community. As members of the law enforcement profession, we have strong relationships within the community, are trusted, credible and respected; which contributes to devising synergic security programs for our customers. We offer unrivaled services because of our managerial capabilities, which encompass recruiting higher quality personnel and training them in dealing with the most crucial security issues facing our customers today. Implementation of technologically advanced tools has allowed us to streamline the logistics of managing our personnel and assists us in holding them accountable. The security services industry, currently $31 billion in annual sales revenues, is a growing market and future growth is projected in double-digit percentages. Future projections for employment of security guards are positive, with expected grow of 17 percent annually in a ten year period between 2006 and 2016. This employment projection is higher than that for all occupations. 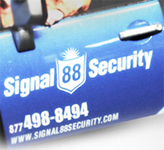 Signal 88 Security Group was created to bridge the gap between the large inefficient security company and the small, local security shop. 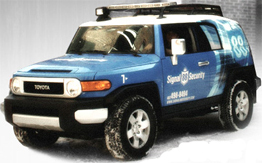 Signal 88 Security provides a superior security services offering through the utilization of the latest technology and a management process with inherent efficiencies and capabilities powered by this technology; none of it available to or used by the competition. This approach is unique in the industry and provides a competitive edge for the success of all Signal 88 Security Franchises. The Signal 88 Security Franchise Group performs research and generates a marketplace packet identifying the factors in your city that determine the viability of a successful security operation in your area. We fully evaluate your market, as well as its need for security services; for example, the business market, the residential market, areas of affluence, national account appeal, and the government contract opportunities. When completed, the research fully provides an analysis of whether or not a Signal 88 Security Franchise would be successful in your area. The initiation and training processes start when it has been determined that there is both mutual interest and a match for a Signal 88 Security Franchise in your area. Training is conducted at the headquarters of Signal 88 Security Franchise Group and includes comprehensive coverage of every aspect of the business. After training, you return home to begin the initiation process, which begins with marketing your services by setting up meetings with prospective customers. Signal 88 Security representatives help you every step of the way, even making site visits to help you secure new customers, as well as assisting with employee hiring and training. In time, you will be uniquely positioned to capitalize on a great opportunity working and making money in the burgeoning security industry.